Robin Bruce Lockhart, 'midwife's assistant' at the birth of History Today, contributes some personal recollections of the magazine's mercurial and larger-than-life founder. Brendan Bracken may have been founding father of History Today, in the launch of which I played a part, albeit a small one, but if history is the science of unravelling and recording the truth about the past, he did his best to ensure that as little as possible of his own life should he recorded. In his lifetime he revealed nothing of his origins and, at his behest, all his personal papers were destroyed on his death. Even his close friend Lord Beaverbrook had to send out a team of reporters to Eire to discover just a smattering of information about his Irish origin. Rumours about Brendan Bracken abounded – many cultivated by the man himself in the sense that he refused to deny them. His devotion to Winston Churchill even led some to believe that he was Winston's illegitimate son. The fruits of much labour by Andrew Boyle in his book Poor Dear Brendan (Hutchinson, 1974) and Charles Lysaght's Brendan Bracken (Allen Lane, 1979) have given us a broad outline of his early, and public, life but much will remain hidden forever. That there was some dark side to Brendan Bracken's life which he wished to conceal seems certain but this is not the occasion to dig further into the life of a man with so many contradictory sides to his nature. The founding father of History Today had an outsize personality, was kind and cruel, gentle but with a fiery temper, religious yet an unabashed hedonist; generous and mean, a man of considerable culture, taste and self-taught erudition, a man who revelled in company but frequently sought solitude. Politician, businessman and highly successful Chairman of the Financial Times and various periodicals, he yet found time to be a conscientious trustee of the National Gallery and Chairman of the Board of Governors of Sedbergh Public School. Although we never spoke a word to each other at the time, my first encounter with Brendan Bracken was one of the most bizarre and memorable occasions of my life. It occurred early in May 1940. Being more or less bilingual in French, at the age of twenty – I had been appointed with the rank of RNVR Sub-Lieutenant as an assistant to the British Naval Attache in Paris, for liaison duties with the French Naval Operations and Intelligence staff whose headquarters had been moved at the outbreak of war from Paris to Maintenan. Our mission was, in fact, a detachment from Naval Intelligence, Section 2 of the British Admiralty. Each month, one of us would fly back to England to spend a week working in the Admiralty reporting and gathering information, Early in May, it was my turn to spend a week, and this coincided with Britain's somewhat disastrous expedition to Norway and just as Germany was about to invade France and the Low Countries. On May 9th, or 10th, 1940, I had a meeting in the basement of the Admiralty. The meeting over, I ran up the stairs to the ground floor, near an exit onto the Horse Guards Parade and had started to run up the stairs to the first floor where lay the NID 2 offices, when I collided with, and was nearly knocked off my feet by, someone running down the stairs. It was Winston Churchill! He raised his hat, smiled briefly, said 'Good morning' and continued running downstairs and out of the building. He was closely followed by three men in plain clothes whom I took to be his bodyguards; one was very tall with a mass of red hair and wore glasses. He scowled at me. Recounting this strange tale to my father whom I met for dinner that evening, he told me that quite clearly the red-headed man could only have been Brendan Bracken, then Parliamentary Private Secretary to Churchill. Either that afternoon or the next day, Churchill replaced Chamberlain as Prime Minister and I have often wondered whether I might well have been the last person in the Admiralty, apart from the doorkeepers, to have seen Churchill in his capacity as First Lord. 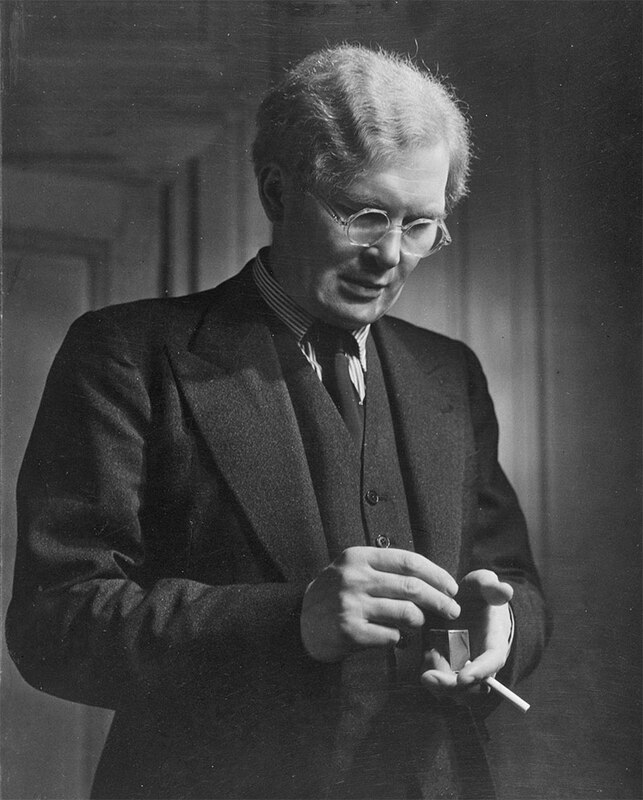 The second occasion I met Brendan Bracken – or 'BB', as he came to be known – was towards the end of the Second World War, when he was First Lord of the Admiralty in Churchill's caretaker government. He was making an official visit to Plymouth where I was on the Commander-in-Chiefs Operational Staff. In the course of the visit, the Commander-in-Chief, Admiral Sir Ralph Leatham, introduced him to a number of members of his staff including myself. Markedly grave and sombre, BB showed none of that renowned ebullience which I came to know so well in later years; he spoke briefly to but a handful of those to whom he was introduced and then only briefly and tersely. To most, including myself, he confined himself to a handshake, although I had both hoped and expected him to say a few words to me, seeing that he had been in almost daily communication with my father throughout most of the war. (As Director-General of Politcal Warfare, my father had had the not always enviable task of keeping the peace between, and having to be responsible to two different ministers: Foreign Secretary, Anthony Eden, and BB, Minister of Information.) I suspect that on the occasion of his Plymouth visit, BB had decided to put on a show of dignity – not always his forte – fitting to his then high office. It was during the Second World War that BB forged a further strong link with my family while renewing ties with his old school Sedbergh, during the tenure of my uncle Rufus – my father's brother – as Headmaster (1936-54). In his diaries, my father tells of a brief holiday he and BB took in Sedbergh in September 1944, when the Allies were heading towards victory. He describes how BB, who had 'not walked a yard since the war began', tramped seven to eight miles over the fells, played poker until 1am and was as fresh as a daisy and ready for more the next day. BB claimed to admire 'the scenery around Sedbergh more than anywhere else in the world. He became a governor of the school and Chairman of the Board of Governors in 1951, a position that he held until his death in 1958. My uncle's respect for him was unbounded, unaware of his some what Jekyll and Hyde nature. On BB's periodic visits to Sedbergh after the war, he assumed the role of the typical outdoor man, tramping across the moors in shorts and in the rain, a non-smoker and, seemingly teetotal. Yet, my uncle was unaware of the discretion shown by domestic staff in surreptitiously disposing of the empty bottles hidden beneath his bed. There can be no gainsaying BB's love for and generosity to Sedbergh, but when I was later to tell my uncle of the chain-smoking, brandy-swilling BB I had come to know in the City, he refused to believe me, just as he refused to believe similar pictures of BB drawn by my father, who knew BB much better than I did. On my uncle's death, BB was kindness itself to his family. I would describe my third meeting with BB as in many ways unexpected, and in some respects coincidental. It occurred shortly after my demobilisation. A civilian once more, I was undecided whether to set my sights on a career in the press or in the City – I had read economics at Cambridge and was now a small investor – and hit on the idea of trying to get a job with the Financial Times and so involve myself in both worlds. Until I made enquiries as to the ownership of the newspaper, I had absolutely no idea that BB was Chairman or even connected with it any way whatsoever. There followed a meeting with BB in his vast office at Union Corporation's headquarters in Princes Street in the City, where he had inherited the chairmanship from Henry Strakosch, his old friend and one-time rival in battle for control of the Economist. His greeting to me was most friendly and I had my first experience of his photographic memory: he not only remembered shaking hands with me at Plymouth, but gave me a full account of his visit in fine detail. An offer of a probationary trial with the Financial Times followed. After a period of training in all departments, from editorial to circulation, I was appointed Foreign Manager of the Financial Times, presumably on account of my knowledge of foreign languages and, for my age, quite a wide experience of Europe where I had had part of my schooling and where I had worked in France for Naval Intelligence. As Foreign Manager my duties were varied but I travelled much in Western Europe, met many leading continental politicians and senior government officials. Among other things, I made the first feasibility studies in several countries for the establishment of a European edition of the Financial Times, in the process treating with various foreign establishment figures. In Spain, I negotiated on behalf of the Newspaper Proprietors' Association with Serano Suner, Franco's brother-in-law, for permission to re-establish sales of British newspapers in Spain. BB was much interested in all that went on in the European political arena and on a number of occasions I had to make private reports to him on such. These reports had no connection with my Financial Times' work; BB sought information on the speed with which other countries were rebuilding their economies compared with Atlee's Britain, in order to garner ammunition with which he could lambast the government in the House of Commons. I was required to produce both notes and parts of speeches for himself, Oliver Lyttleton and Harold Macmillan, when the latter was in BB's good books – which was not very often. In addition, at his request, I made periodic reports to Henry Hopkinson, later Lord Colgon, then Head of the Conservative Party Secretariat and Director of the Conservative Research Department. My 'political' meetings with BB would take place either at Union Corporation's offices or at his elegant home in Lord North Street, with its fine antiques and books, dominated by Romney's portrait of Edmund Burke who, like BB, had originated in Ireland and whose early life is also something of a mystery. BB would usually lunch about once a week in the small directors' dining room in the Financial Times' offices, then in Coleman Street and a stone's throw from those of Union Corporation. He would invite a miscellany of politicians or leading lights in the City and, while I can recall attending one of these lunches myself only once, I was on occasion summoned at the post-prandial coffee, brandy and cigar stage, to voice my opinion on the politico-economic scene in some European country. In practice, I said very little; after good wine at lunch and a few brandies, BB would wax loquacious and it would be hard for anyone else to get a word in edgeways. His conversation would roam over an enormous range of subjects: the Napoleonic Wars, paintings, leather manufacture, stately homes, the Poor Laws, the history of the Eskimo peoples; and I recall once being utterly astonished at his intimate knowledge of the life cycles and habitats of virtually every know species of British butterfly. His knowledge of almost any subject was encyclopaedic; with his photo- graphic memory, he appeared to collect information on everything with equal interest. Naturally, there would be much talk on current politics at these lunches but, despite his fervent devotion to bashing the Labour Party, more often than not his rather alcoholic speechifying on the political front was directed at pulling to pieces fellow members of the Tory party. I recall one memorable post-luncheon occasion, when BB picked up the telephone in the dining room and said: 'Get me Lord Beaverbrook'. When the Beaver was on the line, I heard: 'Is that you, Max? Don't you know how to run a bloody newspaper? What's that idiotic b*****ks you've got on the front page today about? It's about time you learnt how to run that bloody Daily Mess of yours'. Doubtless it was due to the frankness with which the two men stood up to each other that BB and Beaverbrook were such good friends. It was on one such after lunch occasion that I first heard BB mention his idea of starting an up-to-date magazine on history. I did not pay particular attention to this at the time, although I was later to be involved in some aspects of its launch. BB had two secretaries during the war: Bernard Sendall, whom he used to call 'Sunshine' and the normally unsmiling Alan Hodge who, by way of contrast, was called 'Gloom' by some. After the war, Hodge had been helping BB with his 'Men and Matters' column in the FT and when I first heard talk of the history magazine, while I well knew of BB's profound interest in all matters historical, I formed the impression that its foundation – with Hodge as Editor – was a reward, so to speak, for Hodge for his work during the war. I vaguely recall BB saying something to the effect that the new magazine would give Hodge something to do. Later he was to say that History Today was the FT's contribution to culture although it would be truer to say that it was one of BB's personal contributions to culture. In 1949, to my position as Foreign Manager, was added the job of Promotion Manager. It was at the time that BB wished to turn the FT into more of a general business newspaper instead of being largely directed towards investors. At his instigation, I co-ordinated with the London Press Exchange, then Britain's leading advertising agency, an extremely comprehensive readership survey – the first of its kind, I believe, ever carried out by a newspaper in this country. The results fully justified BB's ambitions, the survey revealing an important latent demand for more business news and a not inconsiderable criticism of the rather narrow investor-directed editorial field. The editorial staff did not at first take kindly to some of the criticism, constructive though it was, but the changes sought by Bracken were made, backed by a major publicity campaign which I directed with the slogan, devised by the advertising agents A.N. Holden, 'Men who Mean Business read the Financial Times'. To back up this advertising campaign and the new editorial approach, I set up a small but effective Public Relations scheme. Each day, my small department would cut out every editorial item relating solely to business and industrial news as opposed to news mainly directed towards investors, stockbrokers and bankers. For instance, news of a new discovery in the pharmaceutical field reported by an American chemical company would be distributed to all the relevant trade press in Britain, an item about the increase in the price of leather would be sent to all interested in leather goods, be they trade or fashion magazines. More important items of business news, or extracts from feature articles, would be passed on 'With Compliments' to the Press Association, national dailies and weeklies. No one at that time really considered the Financial Times as in any way a competitor and daily, weekly and monthly newspapers and magazines not only printed FT attributed quotes but, glad to receive this service, would often telephone or write to express their thanks. In the process of spreading the gospel that the Financial Times was the businessman's newspaper, a deal of goodwill was built up. This goodwill stood History Today in good stead when it was launched. At the request of BB, my little PR team was brought into play when the first issue of the magazine appeared in January 1951. Extracts of articles, sometimes lengthy, were distributed as from the Financial Times under an appropriate blurb lauding the arrival of a new fascinating and popular magazine from the Financial Times stable. The most interesting paragraphs from articles by Eric Linklater were sent to all principal Scottish newspapers and, where appropriate, to local Scottish journals; extracts from articles on the history of Britain's principal cities were sent to relevant provincial papers, quotes from book reviews to trade papers in the book trade, extracts of articles on the history of medicine to the medical press and so on; other items went to academic journals. In addition, I organised a small direct mail campaign directed at the quite considerable number of overseas postal subscribers to the Financial Times. I like to think that this resulted in the germination of the acorn of History Today's overseas subscription list which, I understand, has developed into a flourishing fully-grown tree. I was not a midwife at the birth of History Today but rather a midwife's assistant; it was, nevertheless, a role of which I was not a little proud. The midwives were the joint editors, Peter Quennell and Alan Hodge and the full- time staff who brought the magazine into the world. Sire and dam were combined in the enigmatic personality of Brendan Bracken, a man who not only had a keen interest in history but also a great sense of history. As one who was probably closer to Churchill throughout the Second World War than any other man and lived with him at 10 Downing Street, he also both lived and helped shape history. The proprietors of History Today, its editor and staff should be proud of their founding father; I think that, forty years on, he would be proud of them. Publications and their proprietors come and go but history is with us forever. May that also be true of History Today. Robin Bruce Lockhart is the author of Reilly: Ace of Spies (Hodder and Stoughton, 1967), Halfway to Heaven (Methuen, 1985) and Reilly: The First Man (Penguin, 1987).